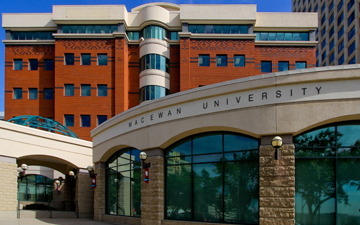 What can practice and management CPAs learn from the MacEwan University cybercrime? TORONTO – For every cybercrime reported by the media, there are multitudes that are kept quiet, either on advice from legal counsel or by management decision. So says Chartered Professional Accountant Bridget Noonan, a partner at Clearline Consulting in B.C., in reference to the $11.8 million cybercrime at MacEwan University. “The good news for us is that there is yet another fraud that has been publicized,” says Noonan. It’s an opportunity to learn from the mistakes of others. As reported by Canadian Accountant, MacEwan accounts payable staff were convinced to change a vendor’s electronic banking information by a series of fake emails from a fraudster. Edmonton-based Clark Builders had been a MacEwan vendor since 2003 and was owed a $9-million final payment for completion of work on a new building. The fraudster created a copycat website and convinced MacEwan staff to send payment to another bank account. Noonan points out that, “The value of what might be referred too as ‘old-style controls or auditing’ will never be lost, regardless of the integration of data analytics and artificial intelligence.” The fraud, Noonan reminds us, could have been detected with one call to Clark Builders. Canadian Auditing Standards require that auditors consider areas that may be susceptible to fraud, and design audit procedures to respond to these risks. Auditors are also required to meet with management and corporate governance to discuss the fraud risks and integrate the assessment into the fraud audit procedures. It’s critical, stresses Noonan, to follow fraud trends and provide your staff with the tools and resources they need to be professionally skeptical at all times.